The color scheme you use when it comes to interior design is usually the main indicator of the mood and appearance of the room. 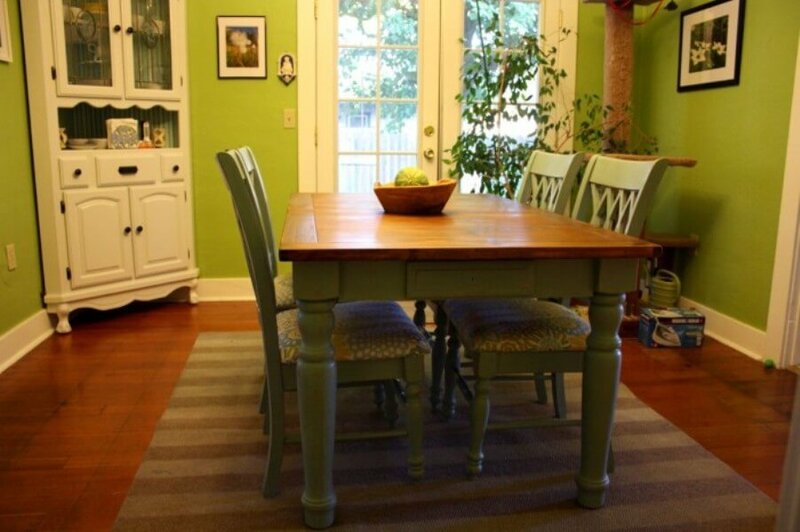 Therefore it’s incredibly important to choose the right color shade and scheme for your dining room. This is the room where you eat your meals, often multiple times per day. This is where you want to relax and entertain so this area should reflect a cheery and relaxed ambiance. 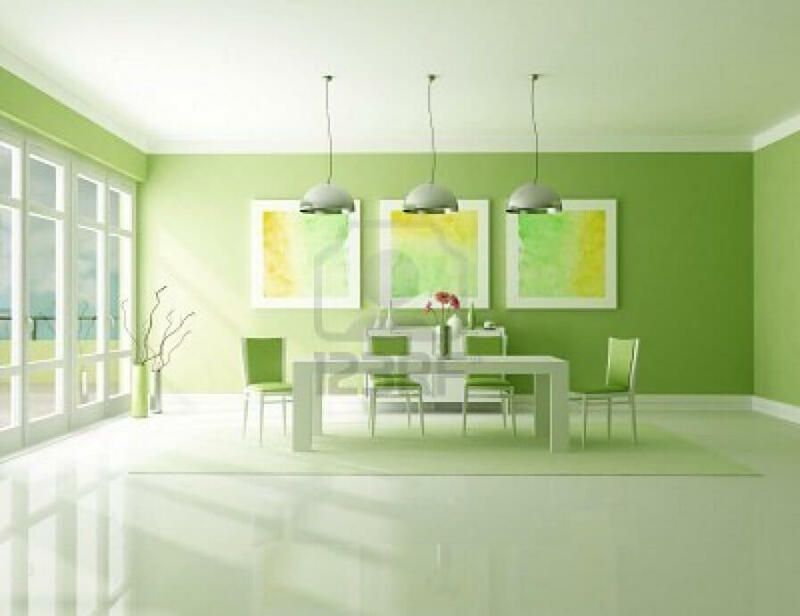 Probably the best color for creating a refreshing and breezy ambiance is the color green! No other color is bursting with as much freshness and cheer as green. In this post we’ve collected a showcase of some refreshing green dining room ideas to provide you with some inspiration for your own home. 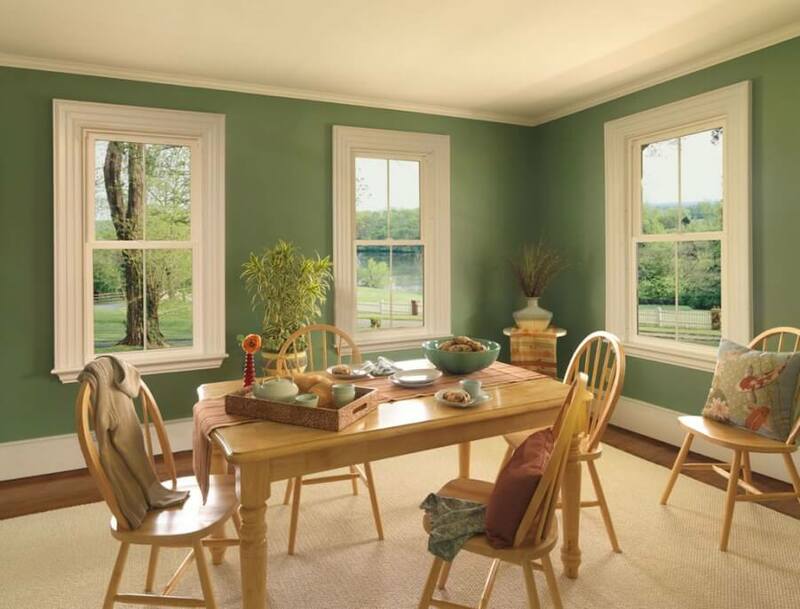 You’ll definitely notice the tranquil and peaceful ambiance in this bold green dining room. It features simple seating and radiates a cheery ambiance. The green walls burst with freshness and open up the interior providing harmony and a cheerful feeling. Wow! This dining room is so vibrant and modern. We absolutely love it. 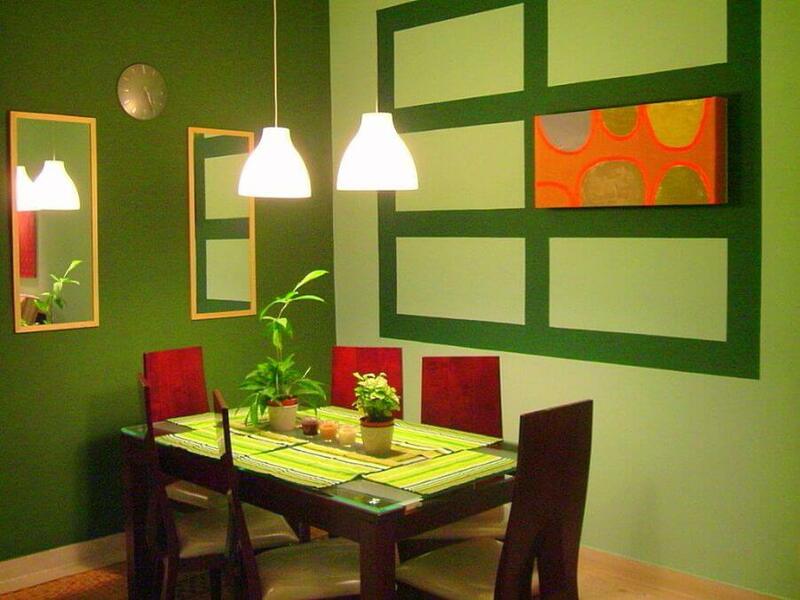 The bright green walls work as a great backdrop for the chic green dining room. The dining area itself is decorated with modern and stylish accents, bold contemporary green chairs and a natural wood table always pairs perfectly with the color green. The Japanese-inspired green wallpaper with its floral print adds a nice pattern and bright colors to this elegant and classing dining room. The green cushions, plats, flowers and even little Asian touches all provide a light and relaxing ambiance. 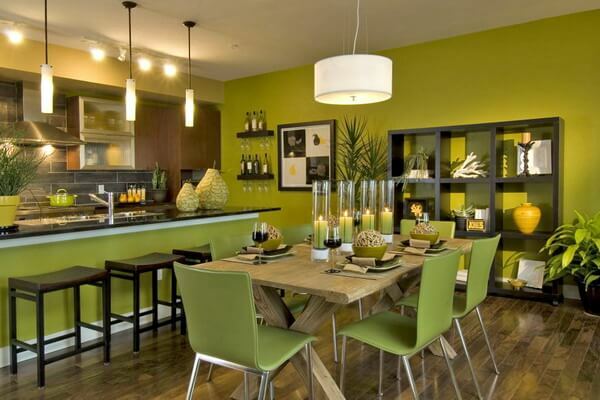 how sleek and modern is this green dining room? 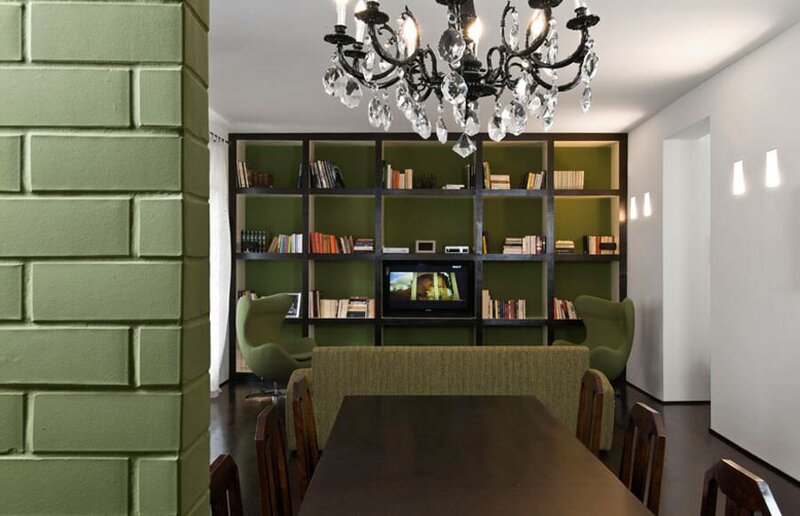 The bright green walls create a fresh and vibrant foundation for the minimalist dining room. The white reflective floor is a very nice touch and it helps reflect the perky and ecstatic atmosphere. Just lovely! 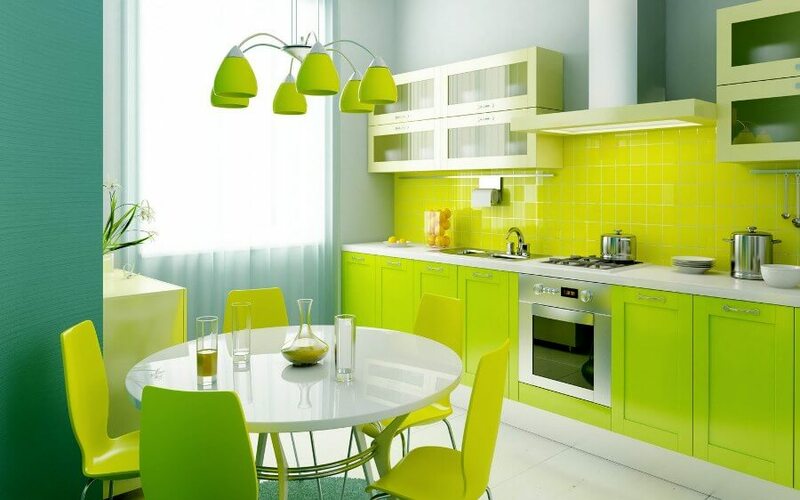 We absolutely love the utterly bright and vibrant green palette used here. Especially when matched with a contemporary and modern dining set. This room is full of upbeat ambiance and the entire space here is absolutely glorious. This country setting pairs perfectly with a bright green color. The table is also painted a sort of rustic shade of green and of course the plants in the background contribute a lot too. Quite a lively and enjoyable space. This splendid and luxurious setting goes amazingly well with the grass green color scheme as it’s been perfectly applied to this magnificent dining room. It’s interesting to see the green painted brick as well. They really went all out with this small green dining area. The variety of patterns and different shades of green gives a modern and upbeat appearance that still looks quite cheerful and lively. 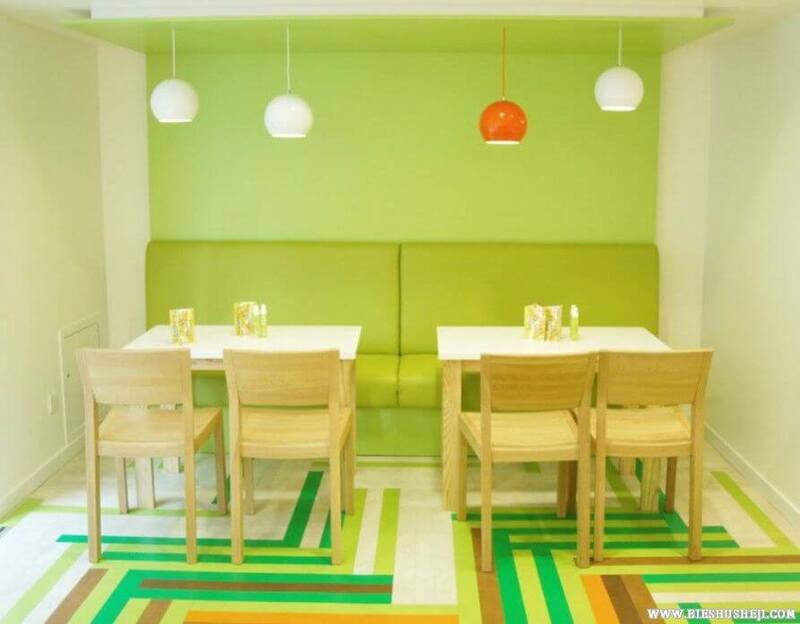 We love the play of the green color shades with the striped and geometric patterns. 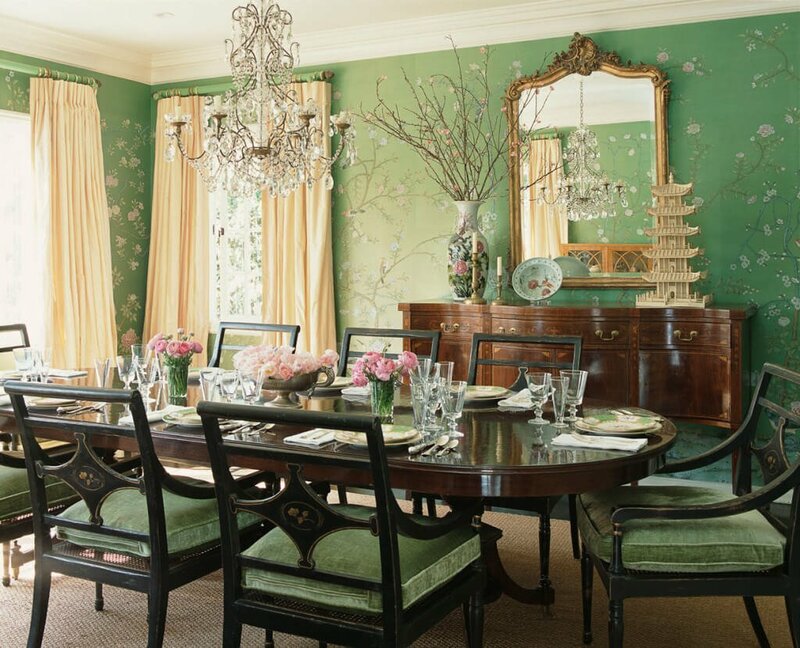 It creates an ultra dynamic and vibrant ambiance in this beautiful green dining room.